Welcome to Dees' Cozy Cottage! Come on up and sit a spell on my front porch. Perhaps you would like a glass of lemonade, and sit on my swing. 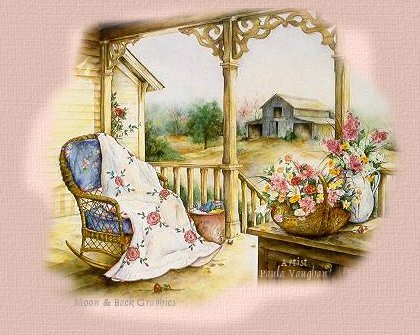 I remember going to my Grandmothers and sitting on her front porch, drinking lemonade and gossiping about the neighbors. And listening to all the wonderful stories of her days as a young girl. I hope from the inspirations of her warm smile and wonderful warm laugh, I can make this a "Warm and Fuzzy" place. Lord knows we all need a "Warm and Fuzzy" place to go to every now and then. Some of the poems here were written my by husband, Jim. I hope you enjoy his poetry too. He will have a special place on my sight as soon as I get the time to build his. 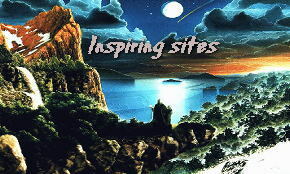 Some of my pages are dedicated to dear friends that I have met on ICQ. 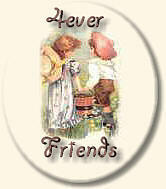 They have become wonderful "Forever Friends" I talk to some everyday. We meet for coffee every morning, and discuss the days or weekend plans. Some only once in awhile. But, none the less they mean just as much. My site will be updated often so please bookmark it and check back often!!!! This is Me!! Come on and take a look!! 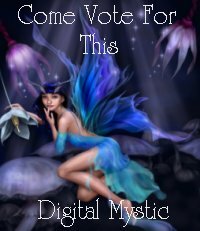 If you like this site Please Vote for me at the Digital Delilah's!!! Go Here to Vote for this site!!! This is a special award from LadyCarol. Thank you so much Lady Carol. I'm very proud of it!!! 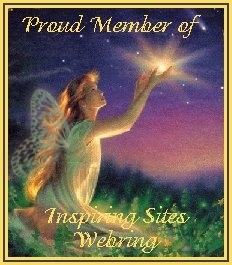 This The Kindred Spirit Ring site owned by Dees' Cozy Cottage. 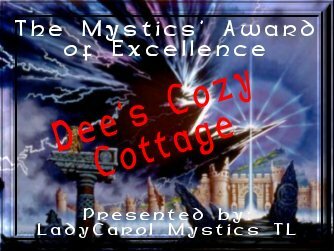 site is owned by Dees' Cozy Cottage. is owned by Dees' Cozy Cottage .